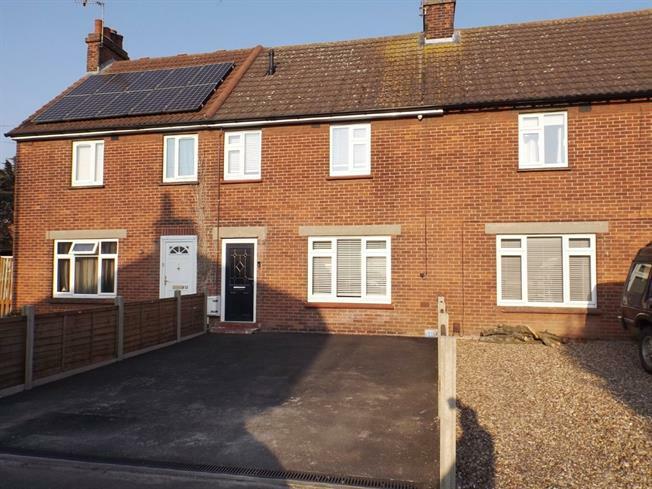 3 Bedroom Terraced House For Sale in Colchester for Guide Price £240,000. Three bedrooms terraced family house with entrance hall leading in lounge, fitted kitchen/diner and downstairs w/c with area for washing machine and dryer. Upstairs the property has three good size bedroom with a modern shower room. The rear garden has patio area and lawn with a summer house at the rear with power. There is off road parking to the front. UPVC back double glazed door, opening onto the garden. Double glazed uPVC window facing the rear overlooking the garden. Radiator, laminate flooring. Roll top work surface, fitted and wall and base units, single sink, electric oven, electric hob, space for dishwasher. Double glazed uPVC window with obscure glass facing the rear overlooking the garden. Radiator, laminate flooring, shelving. Low level WC, wash hand basin. Double glazed uPVC window with obscure glass facing the rear overlooking the garden. Radiator, laminate flooring. Low level WC, double enclosure shower, wall-mounted sink.